A photogenic grouping greets evening sky watchers this week providing a fine teaser leading up to a spectacular eclipse. On the evening of Thursday, April 3rd headed into the morning of the 4th, the waxing crescent Moon crosses in front of the Hyades open star cluster. This is the V-shaped asterism that marks the head on Taurus the Bull, highlighted by the brilliant foreground star Aldebaran as the bull’s “eye”. 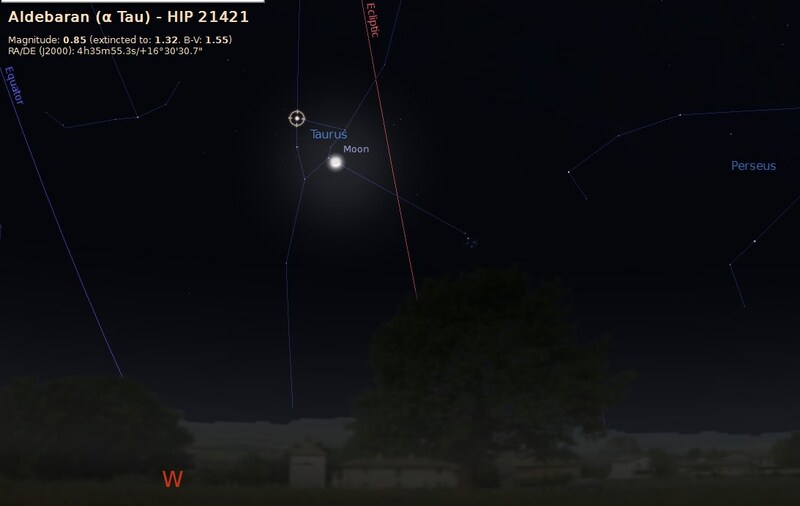 Viewers across North America will have a ring-side seat to this “bull-fight” as the 20% illuminated Moon stampedes over several members of the Hyades in its path. The passage of the Moon through the Hyades over a three hour span on the night of April 3rd (April 4th in Universal Time) comparing the North American locales of Tampa, Florida and Seattle, Washington. (Credit: Starry Night Education Software). We are currently seeing the Moon cross the Hyades during every lunation until the year 2020, though it’s a particularly favorable time to catch the event in April 2014 as the Moon is a slender crescent. Notice that you can just make out the dark limb of the Moon with the naked eye? 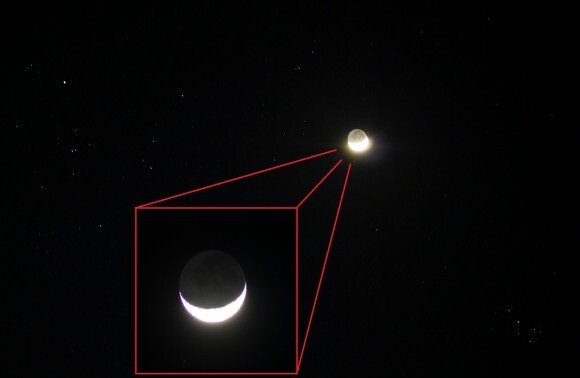 What you’re seeing is termed Earthshine, and that’s just what it is: the nighttime side of the Moon being illuminated by sunlight that is reflected off of the Earth. 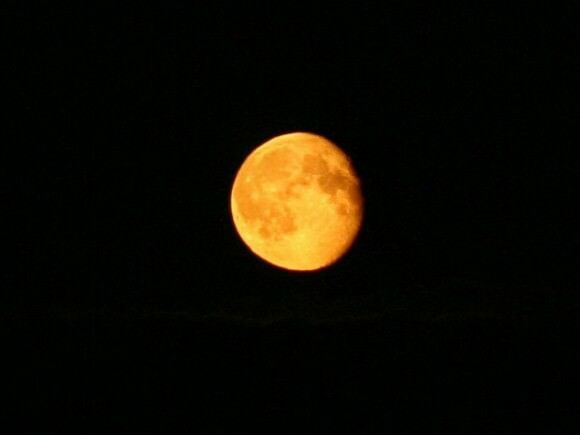 Standing on the Earthward side of the Moon, an observer would see a waning gibbous Earth about two degrees across. Yutu has a great view! 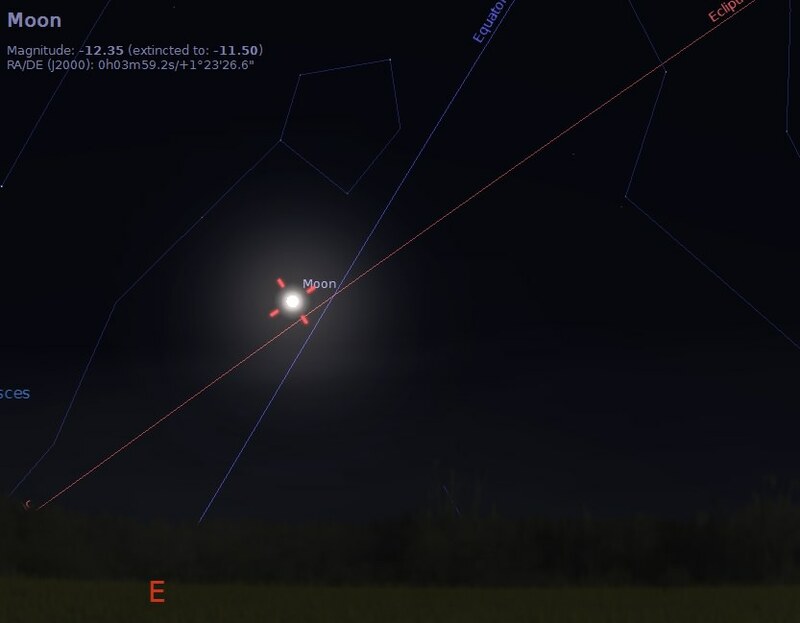 The Moon will cross its descending node where its apparent path intersects the ecliptic on April 1st (no joke, we swear) at 2:30 Universal Time or 10:30 PM EDT on March 31st. The next nodal crossing now occurs in just two weeks, and the Earth’s shadow will be there to greet the Moon on the morning of April 15th in the first of four total lunar eclipses that span 2014 and 2015. 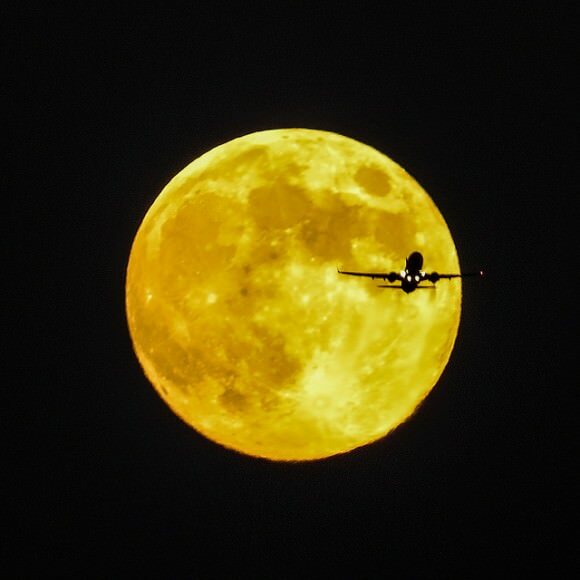 The month of April also sees the Moon’s orbit at its least eccentric, a time at which perigee – the Moon’s closest point to Earth – is at its most distant and apogee – its farthest point – is at its closest. This currently happens near the equinoxes, through the nodes slowly travel across the ecliptic completing one revolution every 18.6 years. Perigee can vary from 356,400 to 370,400 kilometres, and apogee can span a distance from 404,000 to 406,700 kilometres. Looking west from the US SE at about 10PM local on the evening of April 3rd. Credit: Stellarium. We’re also headed towards a “shallow year” in 2015 when the Moon has the least variability in respect to its declination. This trend will then reverse, climaxing with a “Long Nights Moon” riding high in the sky in 2025, which last occurred in 2006. The Moon will inch ever closer to Aldebaran on every successive lunation now, and begins a series of occultations of Aldebaran on January 29th, 2015 through the end of 2018. Occultations of Aldebaran always occur near these shallow years, and will be followed by a cycle of occultations of Regulus starting in 2017. We caught an excellent daytime occultation of Aldebaran by the Moon from North Pole, Alaska during the last cycle in the late 1990s. The Moon passing between the Hyades and Pleiades in 2011 with Earthshine highlighted. Photos by author. Now for the wow factor. Our Moon is 3,474 kilometres across and located just over one light second away. The Hyades star cluster covers about 6 ½ degrees of sky – about 7 times the size of the Full Moon – but is the closest open cluster to the Earth at 153 light years distant and has a core diameter of about 18 light years across. As mentioned previous, Aldebaran isn’t physically associated with the Hyades, but is merely located in the same direction at 65 light years distant. The Hyades star cluster also provided early 20th astronomers with an excellent study in galactic motion. At an estimated 625 million years in age, the Hyades are slowly getting disbanded and strewn about the Milky Way galaxy in a process known as evaporation. The Hyades are also part of a larger stellar incorporation known as the Taurus Moving Cluster. Moving at an average of about 43 kilometres a second, the members of the Hyades are receding from us towards a divergent point near the bright star Betelgeuse in the shoulder of Orion. 50 million years hence, the Hyades will be invisible to the naked eye as seen from Earth, looking like a non-descript open cluster and providing a much smaller target for the Moon to occult at 20’ across. Astronomer Lewis Boss was the first to plot the motion of the Hyades through space in 1908, and the cluster stands as an essential rung on the cosmic distance ladder, with agreeing measurements independently made by both Hubble and Hipparcos and soon to be refined by Gaia. Photographing and documenting this week’s passage of our Moon across the Hyades is easy with a DSLR camera: don’t be afraid to vary those ISO and shutter speeds to get the mix of the brilliant crescent Moon, the fainter earthshine, and background stars just right. 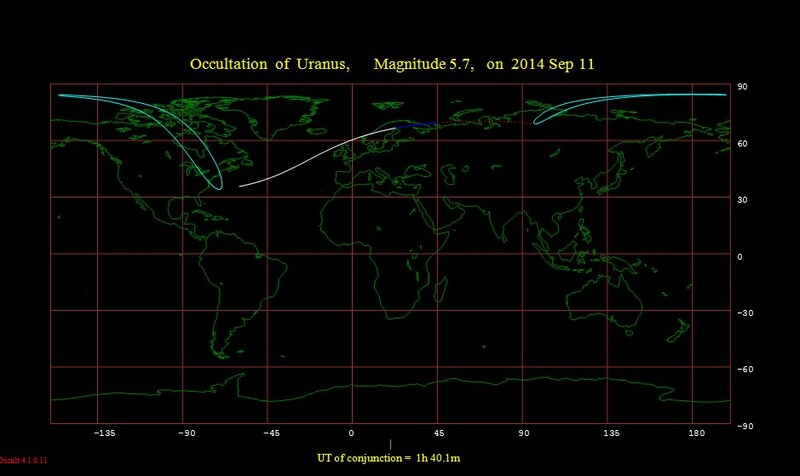 The more adventurous might want to try actually catching the numerous occultations of bright stars on video. And U.S. and Canadian west coast observers are well placed to catch the Moon cross right though the core of the Hyades… a video animation of the event is not out of the question! And from there, the Moon heads on to its date with destiny and a fine total lunar eclipse on April 15th which favors North American longitudes. We’ll be back later this week with our complete and comprehensive eclipse guide!